It’s virtual book club time and this months author is Kevin Henkes. Another new to me author and one that we have had fun looking at the different books and deciding which one to do. 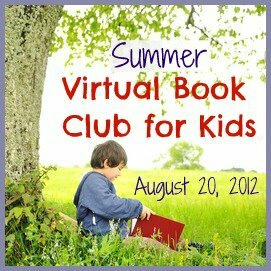 The virtual book club starts on the 20th August. We are co-hosting the linky and would love you to join in as well. To join us read one of the Kevin Henkes books and then do an activity or activities based upon it and then come and link up. If you don’t have a blog and still want to join in we would love to hear what you do on the Virtual Book Club Facebook Page. The virtual book club is co-hosted by the following blogs – look out for our posts on the 20th with a range of different activities and ideas to go with the Kevin Henkes books.